By pressing the “Enroll now” button above, you can register for the competition. Any games that have not been released before 2019 can enter into the championship. We expect a few screenshots, a written description, a playable build and a gameplay video of your games to be submitted. 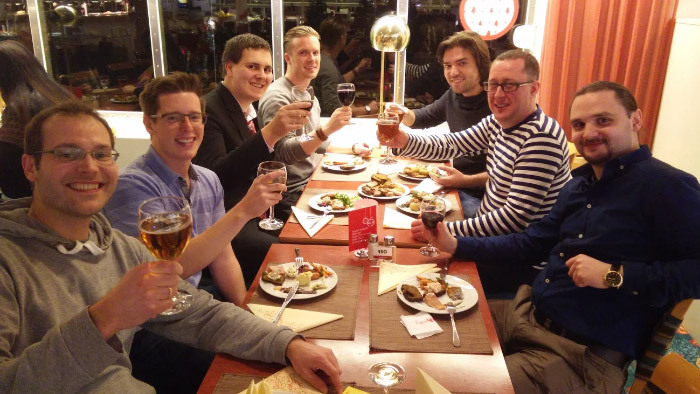 GDWC 2016 finalists celebrating on a Viking Line cruise to Sweden. In addition to the main categories, you can participate in a bonus stage if your game meets the criteria for it. All winners will receive a Lenovo Yoga 3 Tablet as a prize! For games developed during Game Jams. Games picked by our audience. The contest is organized by Viope Ltd and is open from 31th of January 2019. Entry submission closes on the 30th of September 2019 11.59pm GMT. 1. The championship has two main categories, PRO and HOBBY games. You can apply for either categories with as many games as you wish. PRO: The Pro developer category is meant for games that are going to be or have been released commercially. HOBBY: The Hobby developer category is meant for games that will not be released commercially. Non-profit games can also be entered under the HOBBY category. 2. The participant fills up the form provided via the enroll link with genuine information. The participant agrees that information on the enrolment form can be forwarded to partners and judges of the contest. 3. Viope Ltd. reserves the right to refuse an application. 4. Each individual or team can compete with any number of games on any platforms, both digital and physical if they wish. The game and the peripherals needed to play must either be portable with reasonable cost or be emulated with a PC or a handheld device such as a tablet. 5. Team members can be replaced, added or removed during the competition. 6. Any material, assets or work that has been outsourced by the team must be clearly documented and this information sent alongside the application. 7. By registering for the competition, the participant allows Viope Ltd. to contact the participant via e-mail about matters related to the competition. 1. The entries are submitted before the closing date. 2. The game cannot already have been published before the year 2019. 4. 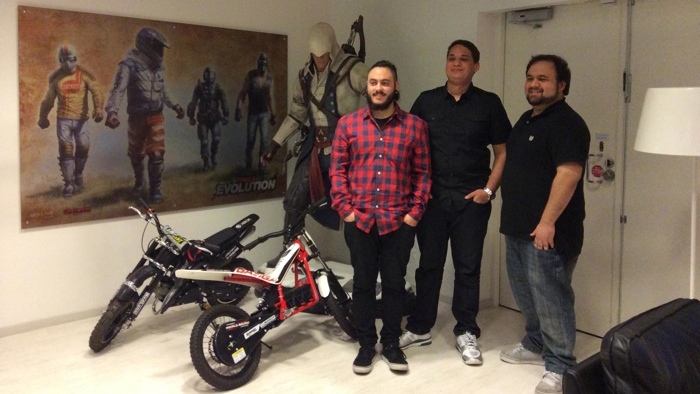 The team owns full rights to their game. The organizers reserve the right to use images, video and text material of the game, team and entry submission for the purposes of marketing the competition and the games. Viope. Ltd will not share Steam keys, closed beta builds or similar. 5. The game must be able to run on a Windows, Mac, game console, portable device or internet browser either natively or via emulation. In the case of physical games, A copy must be brought to the jury during the finals. 6. Teams can submit a game using existing technologies such as engines, frameworks and models. Teams must own full right to use those technologies. 7. Teams can submit a game using existing content and materials. Teams must own full rights to use those assets. 8. Teams must ensure that their games do not break the Finnish law. 9. Any breach of rules 3.6, 3.7 and 3.8 will disqualify the team. 10. The organizers reserve the right to make changes to these rules as necessary. Any changes to the rules will be forwarded to the participants of the contest. Any rules changes will be made to forward the GDWC as a fair competition and for the benefit of the contestants. The games will be judged based on the following three aspects. NOVELTY: Is the game an entirely new concept, or does it combine old ideas in new, interesting ways? Does it stand out from other games of its genre? One member of the team needs to enroll and provide the information on the team. After that the team is registered for the contest. This is done by pressing the “enroll button” on the top of this page. We reserve the right to refuse an application. Does my game need to be finished? No, your game can be in any phase of development. 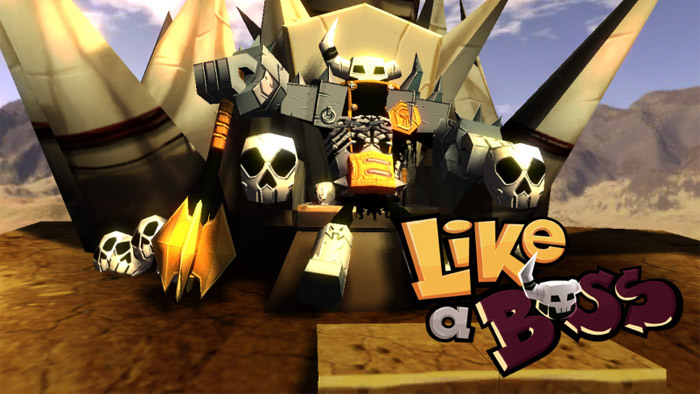 The only requirement is that you will need to have a playable build or prototype. You are free to update/edit your submission until the submission deadline. Can my game be physical? Yes. Physical games such as game consoles and board games are welcome in the GDWC. My game was released for Early Access in 2018. Can I submit it? Yes. Games that are still in development can be submitted for the GDWC. This also goes for games that have been soft launched or have an open beta out. Can I participate in the GDWC in multiple teams? Yes. You just need to ensure your team(s) all include you in them when submitting their games. HOW CAN I FIND MEMBERS FOR MY TEAM? There are several communities of game developers on services such as Facebook and Reddit. You may also be able to find a local IGDA chapter or university with game development in it. CAN WE SUBMIT SEVERAL GAMES? Yes. You can submit as many games into the contest as you like. To do so, follow the instructions in the entry submission platform after registering. You can get in touch with us directly via email via contact@thegdwc.com or contact us via Twitter or Facebook found at the bottom of this page. Viope is a global leader in providing eLearning solutions for computer programming and mathematics. Games Jobs Finland is the first games recruitment service in Finland connecting game companies and candidates looking for game job opportunities. GameDevCompany is building a positive community of learning and sharing for all gaming creatives. We stream art, design and development and interview industry professionals. We also play and analyse your games and give you feedback. Code Planet organizes applied sciences Finnish university courses that introduce students for careers within the gaming and coding industry. I've read and understood the rules for the GDWC competition. What is this bonus stage? 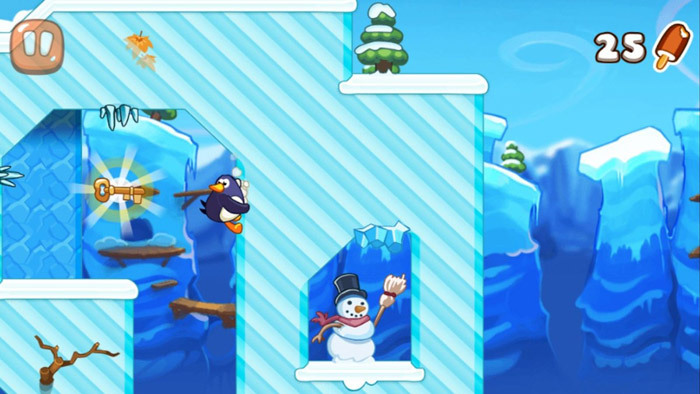 Bonus stages are additional challenges for game developers, giving them a chance to win prizes that are not part of the two main categories. For the Game Jam category, this means participating with games made during game jams. How do I participate in this bonus stage? 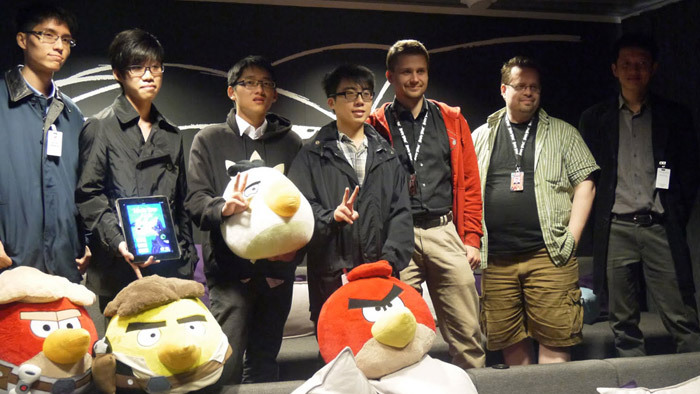 Register for the Game Development World Championship normally. Find out a Game Jam you want to participate in, and develop your game during that game jam according to their rules, if any. Afterwards, submit your game into the GDWC as you would any other game. GDWC 2019 Finland-themed "care package"
The game for the submission must have been done entirely during a game jam, which must be specified while submitting the game. 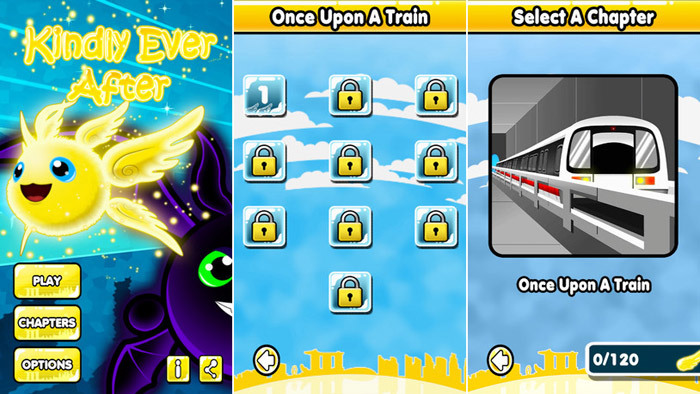 Bonus stages are additional challenges for game developers, giving them a chance to win prizes that are not part of the two main categories. For the Fan Favourite category, there are no additional limits, it's simply a bonus! Register for the Game Development World Championship normally. We will pick awesome games from those submitted into the competition weekly. During this week, our audience can vote for their favourite game of the week, which will then be a nominee in the final Fan Favourite vote. Instead of the GDWC judges, the winner will be chosen by a vote open from 1.09.2019 until 31.10.2019. After this, the votes will be tallied and the winner chosen.